Now if only the pre-order came with that tome! 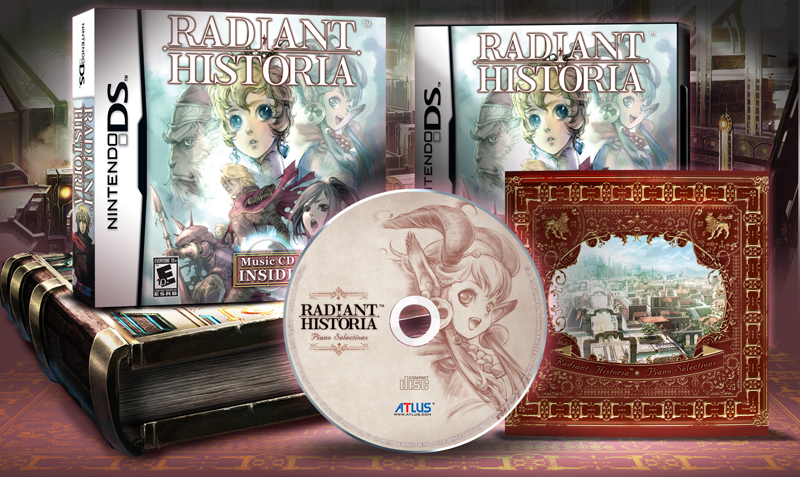 Atlus’ Radiant Historia (DS) hits stores on Tuesday, February 15th at a retail price of $34.99 and I just wanted to remind anyone mulling over the purchase that in addition to the game (which is already receiving plenty of kind words) that those that pre-order will receive a soundtrack bonus (ah, gotta love Atlus!) featuring piano arrangements of music from the game by famed video game composer Yoko Shimomura. Radiant Historia’s Japanese sister site has some a nice sampling of the music in the game if you’re so inclined and having listened to it for the last several minutes it certainly doesn’t disappoint. The piano arrangements are going to be a real treat.